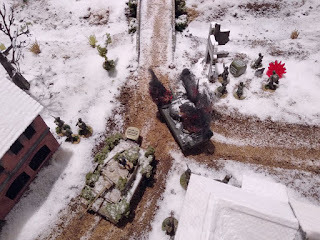 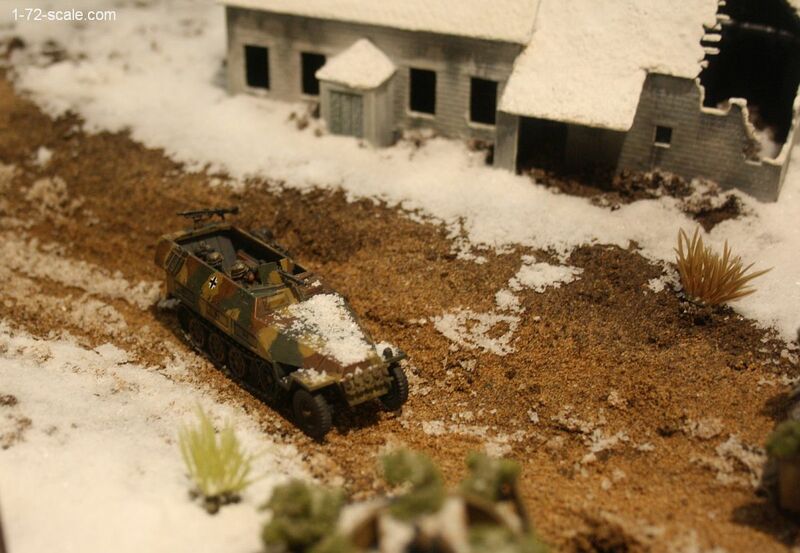 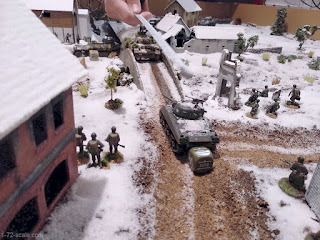 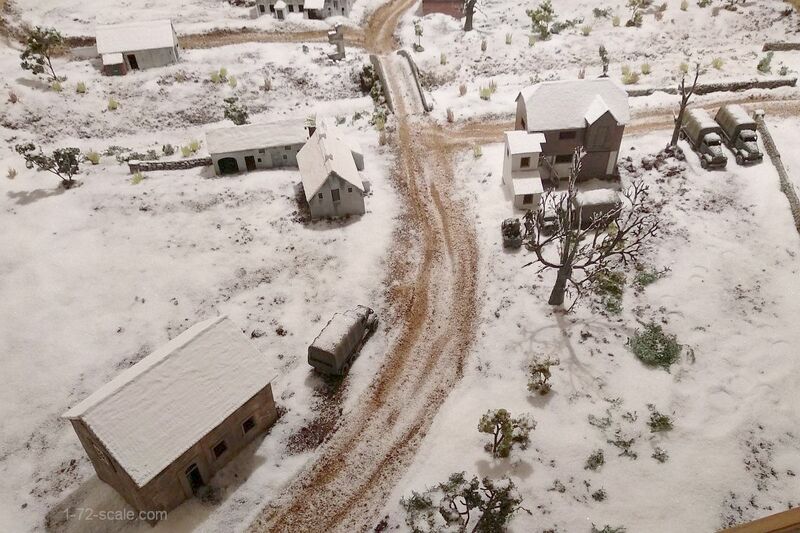 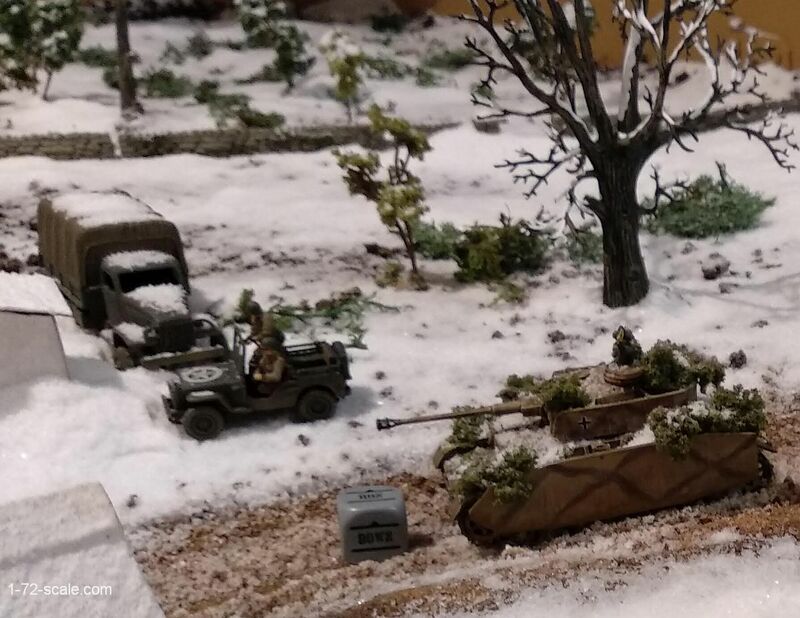 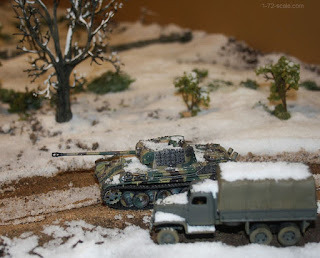 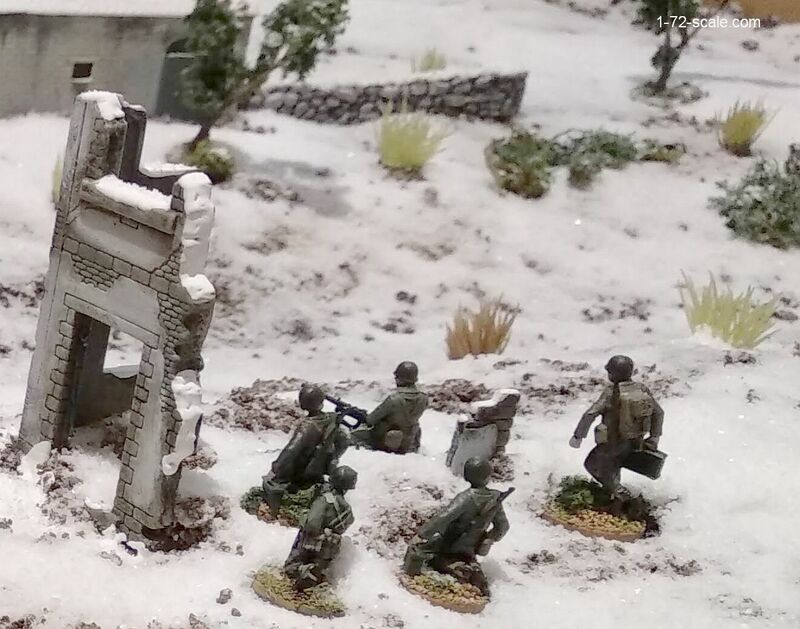 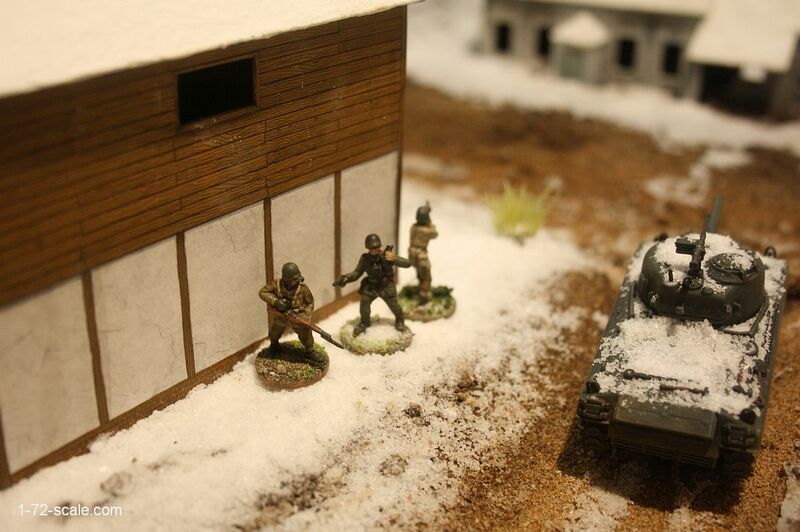 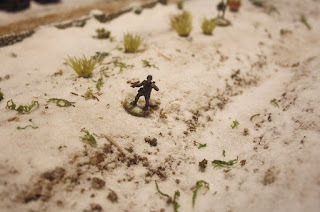 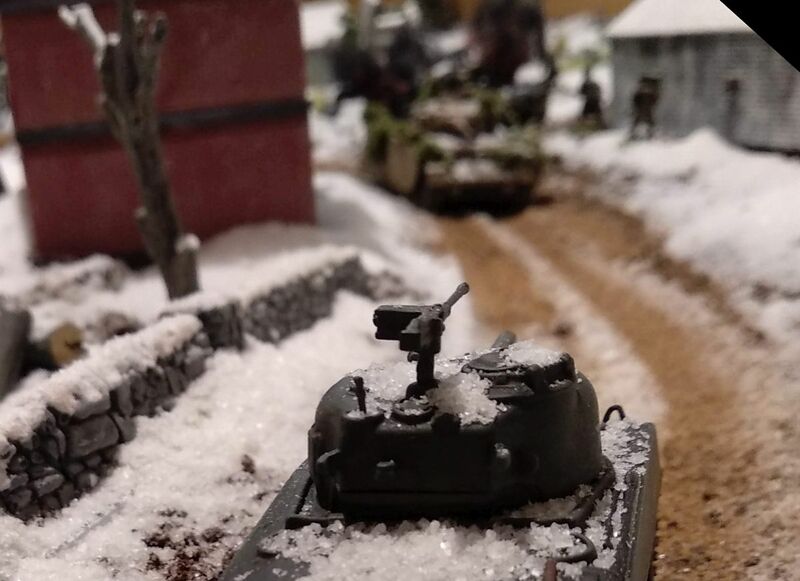 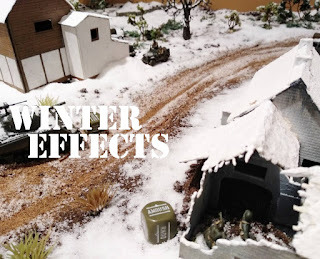 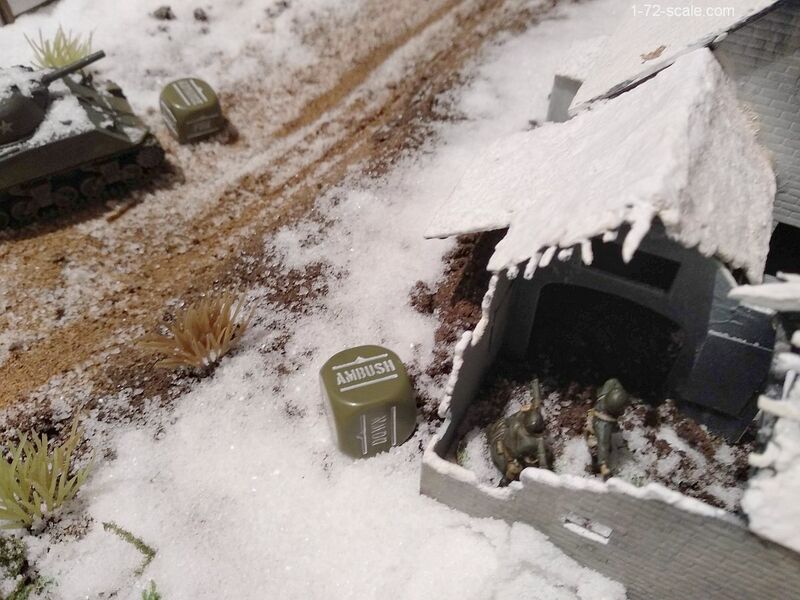 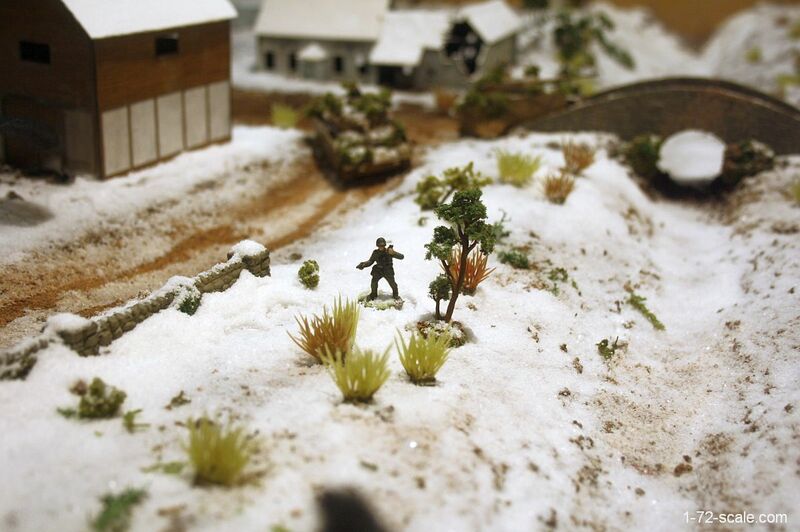 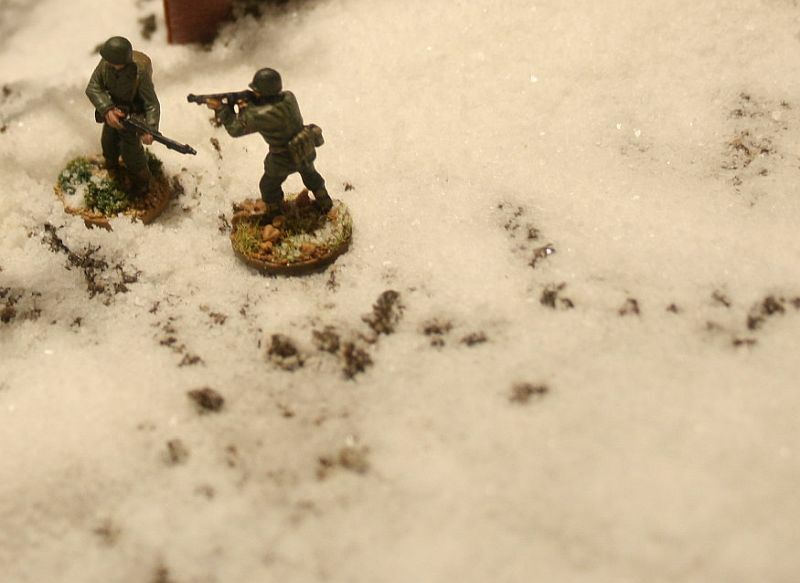 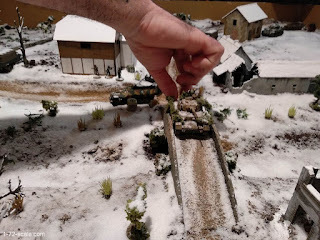 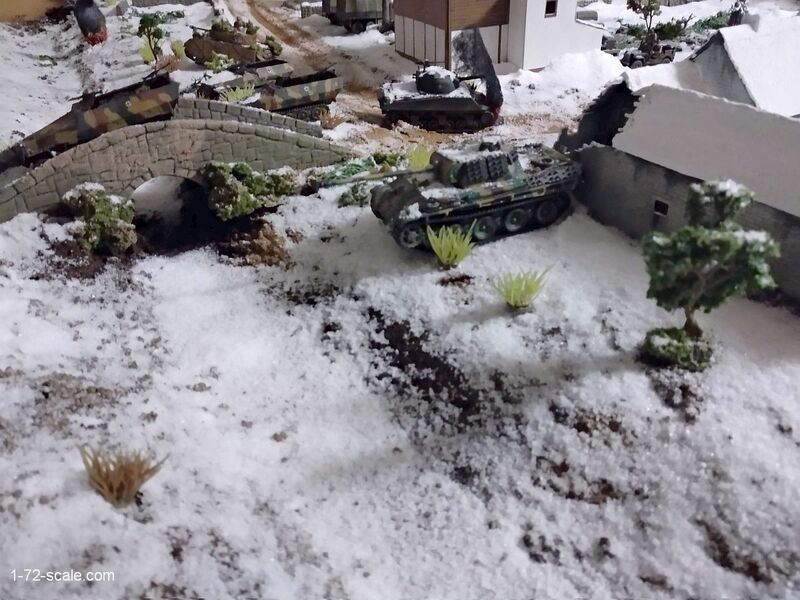 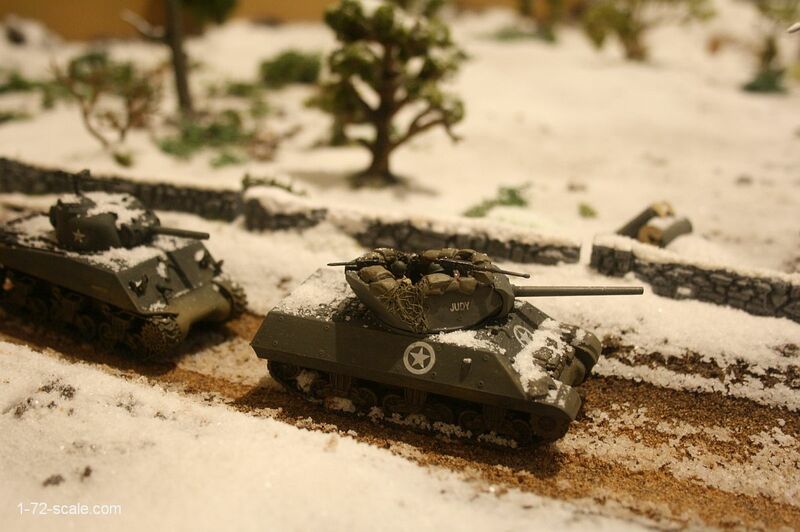 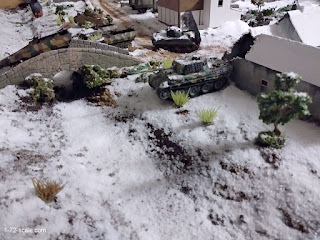 Decorating a new sand table for wargaming using fine-grain salt to simulate snow. 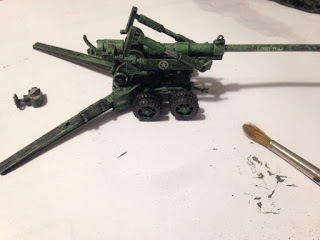 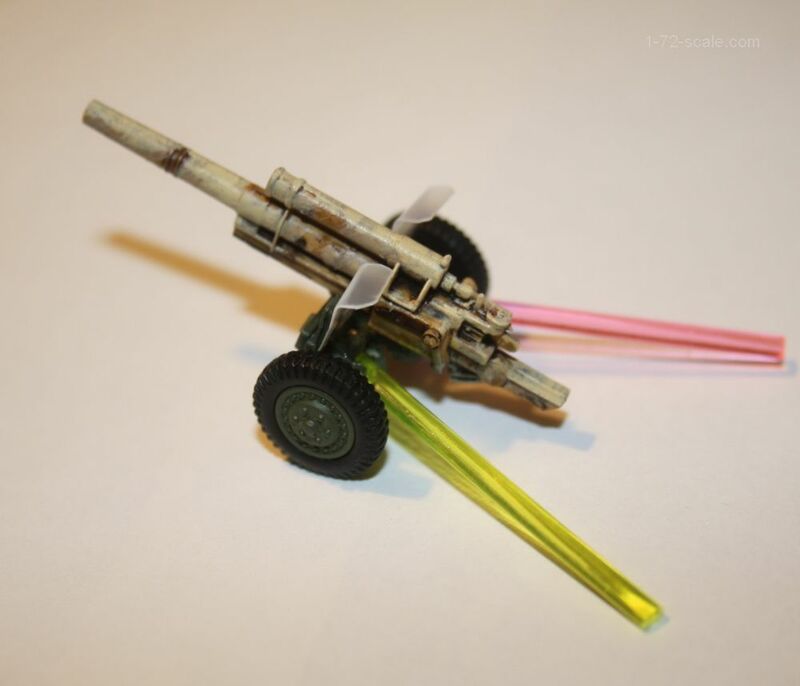 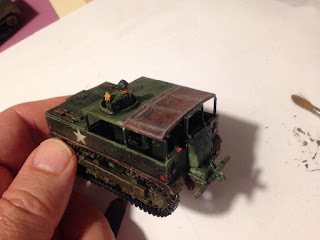 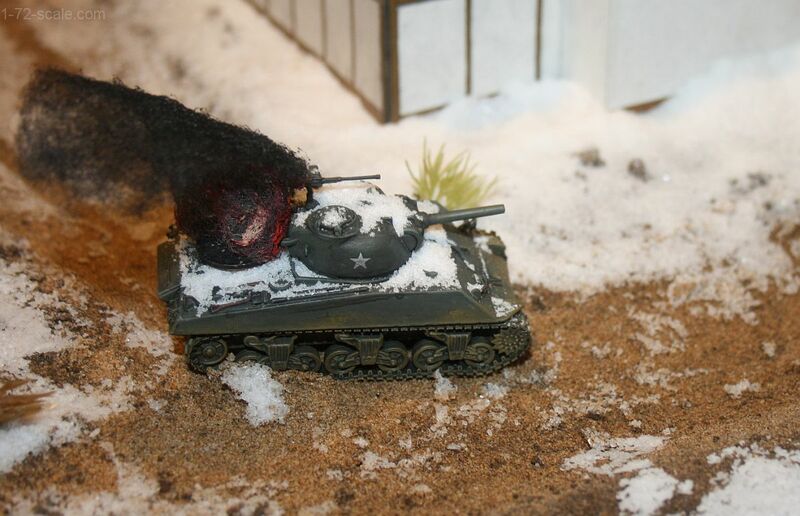 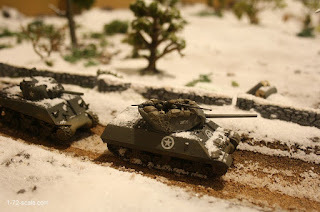 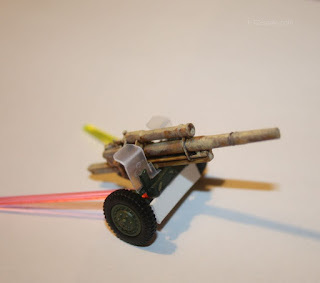 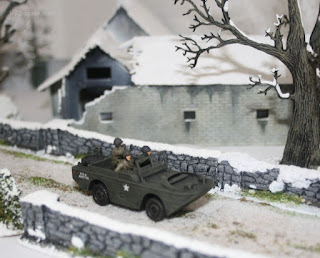 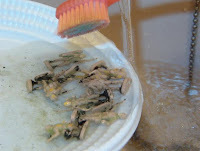 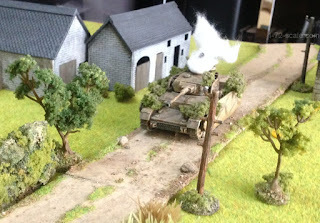 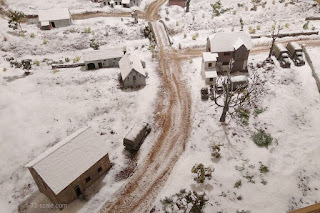 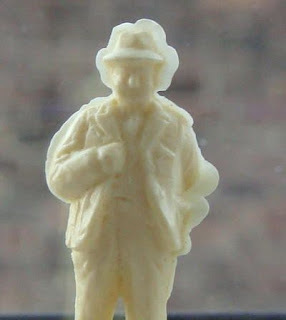 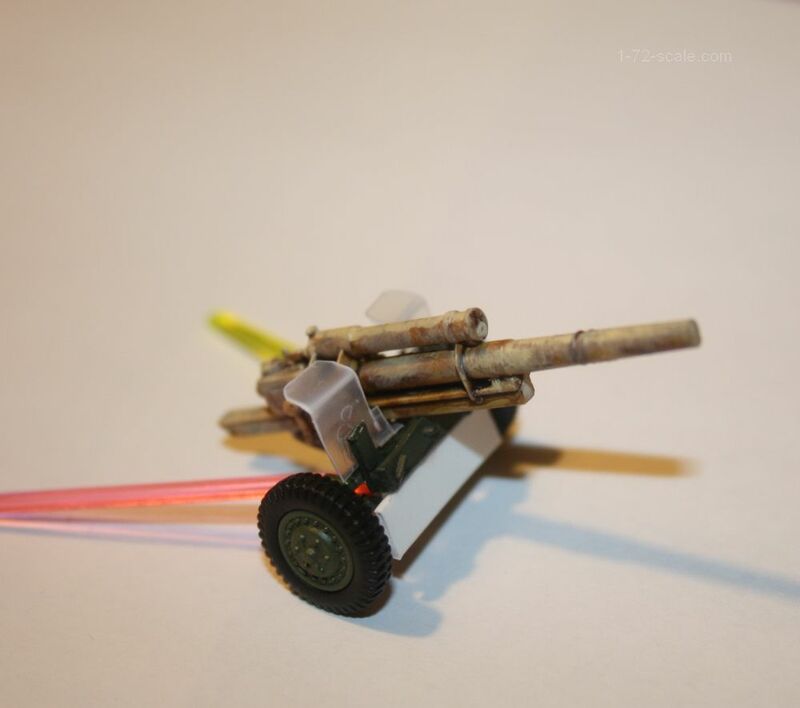 This was for a 1/72 scale wargame but the technique can be used for games in any scale. 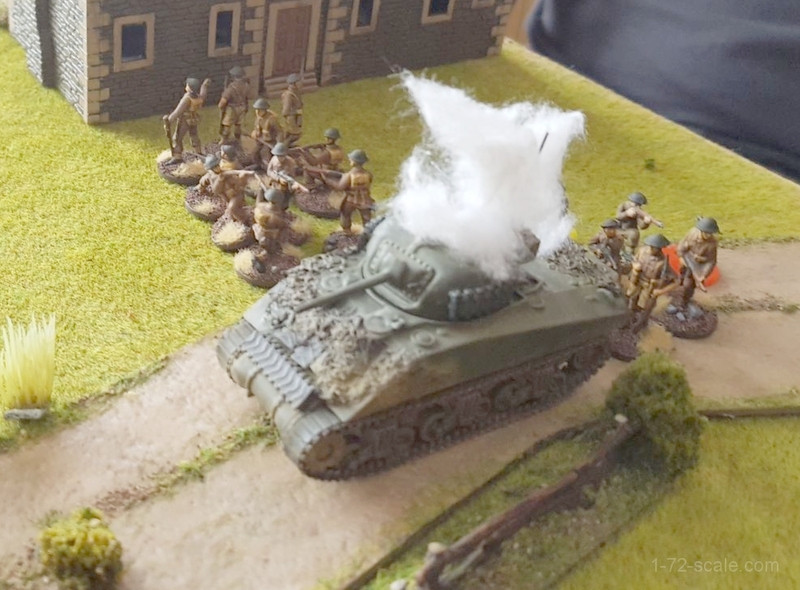 After uploading the video I realised that the sound is very muffled, but the images speak for themselves. 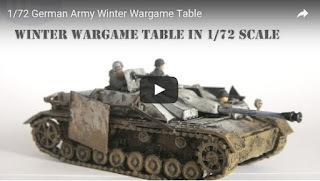 There are subtitles on the video, to see them you'll need to open the video in Youtube itself and on the bottom bar, look for the “Closed Captioning” icon “CC” and click on it. 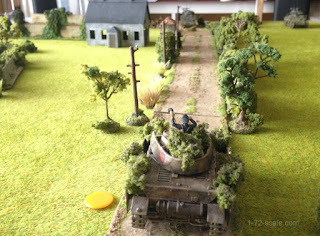 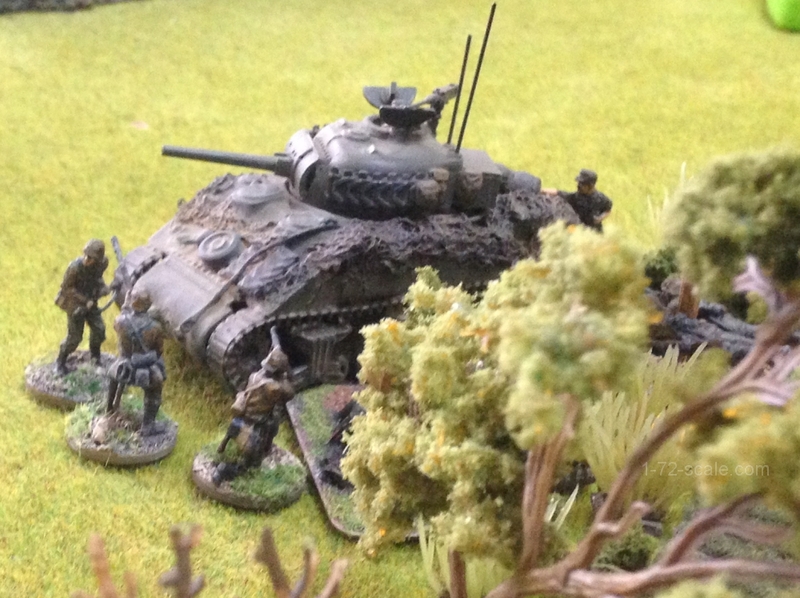 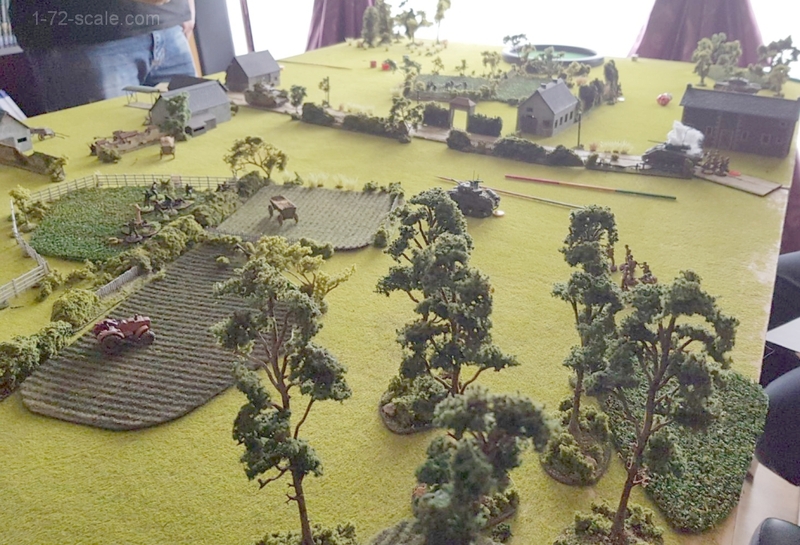 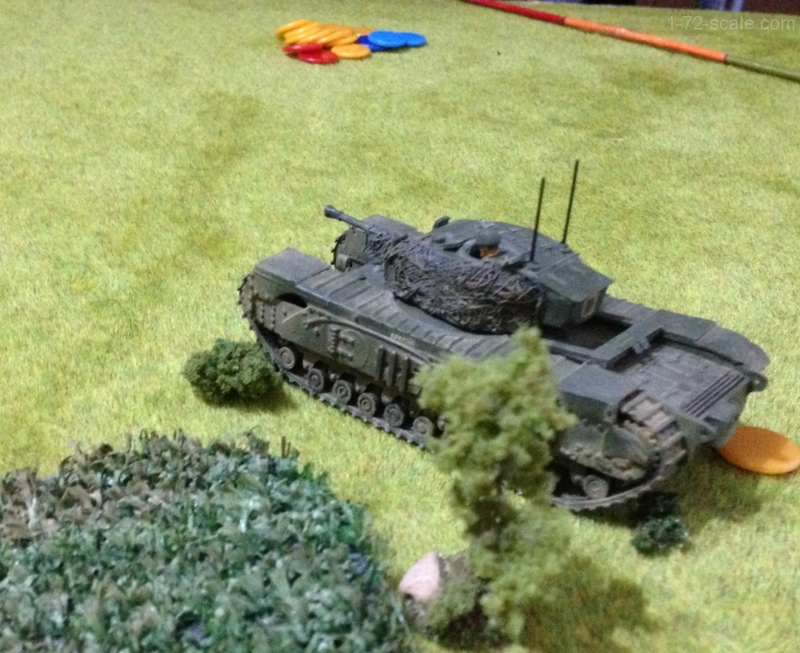 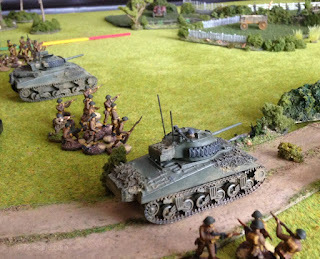 We baptised the table on Saturday with an Ardennes game, photos and game report to follow soon. 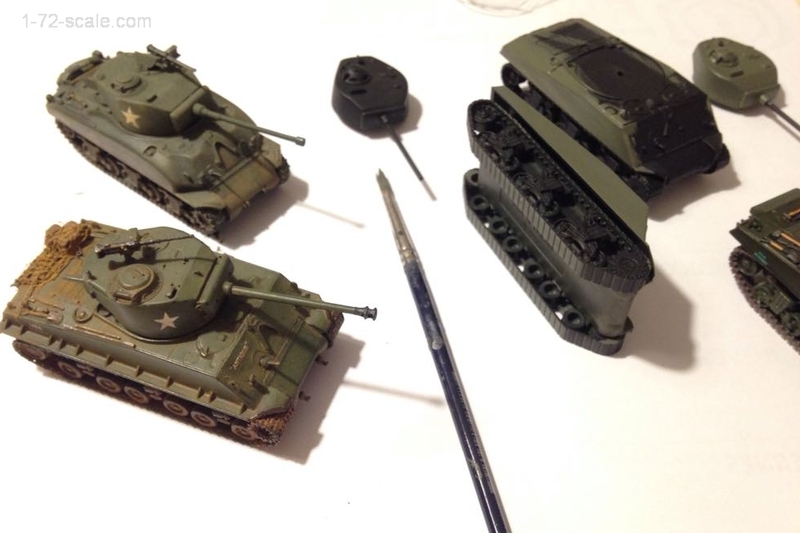 I had been meaning to start this project for a few years and finally, after much procrastination, I made a start. 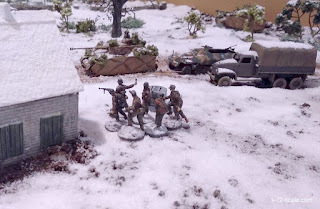 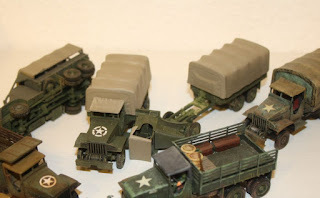 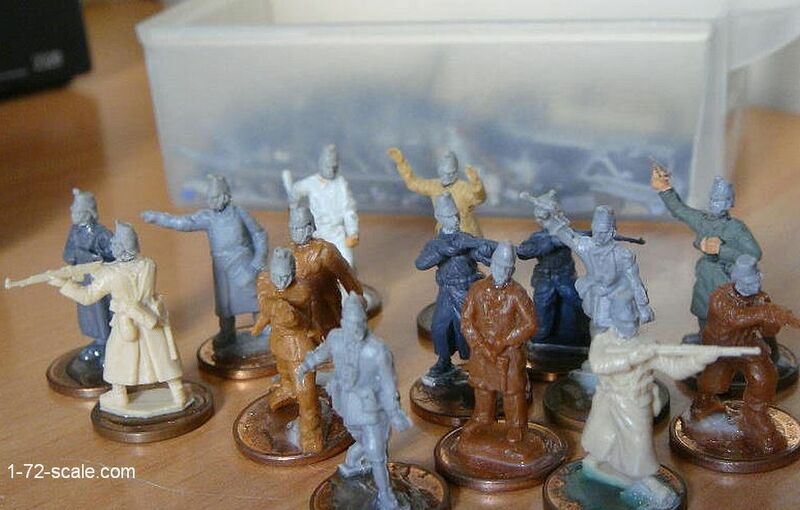 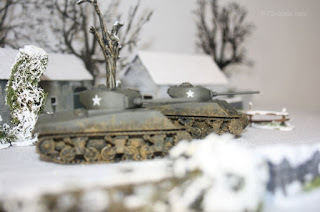 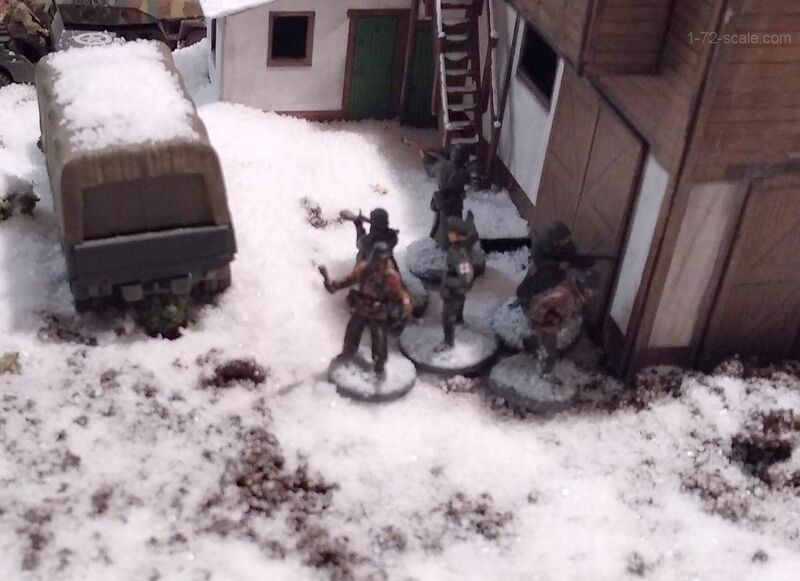 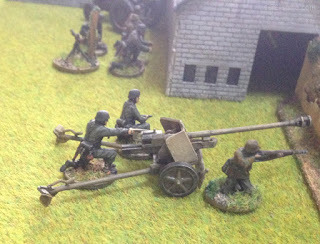 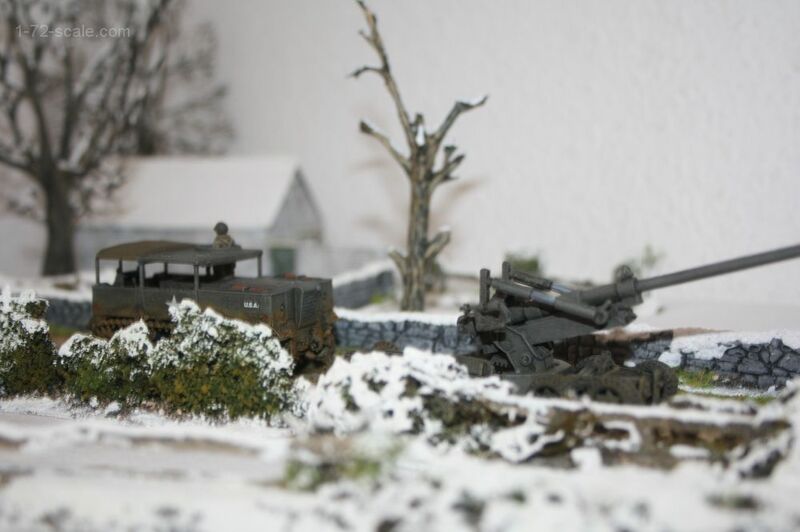 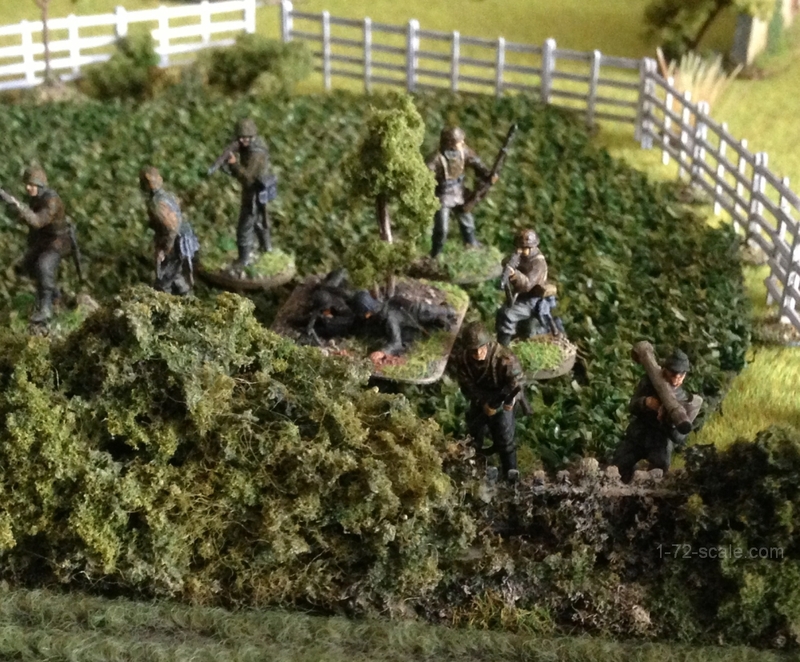 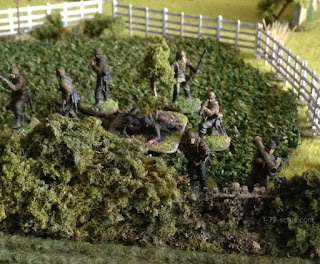 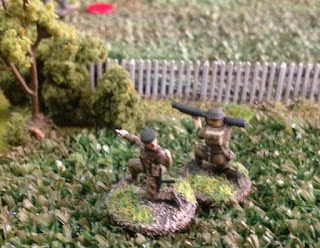 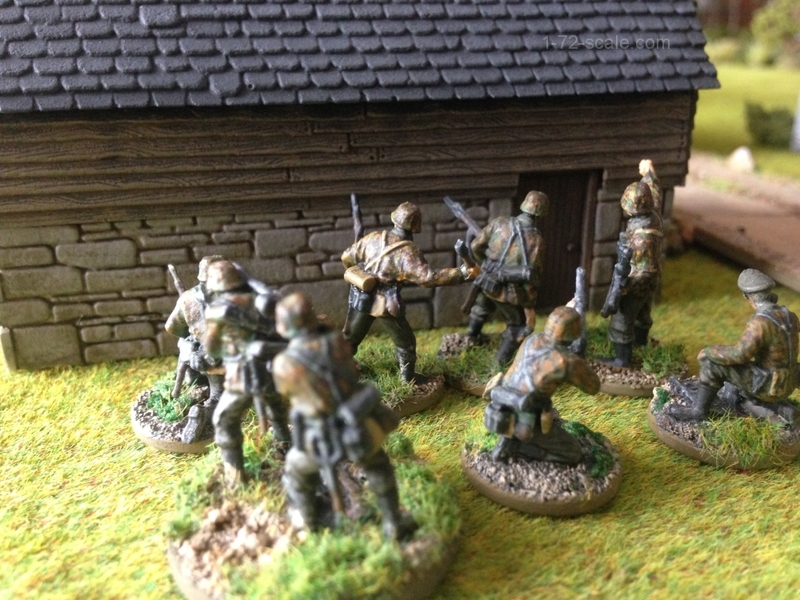 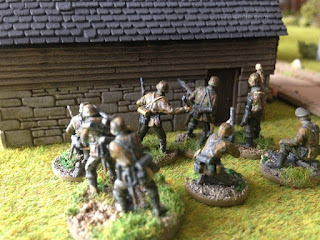 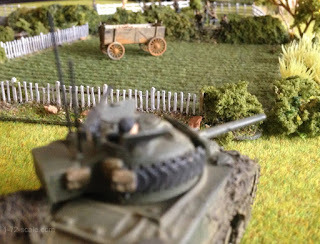 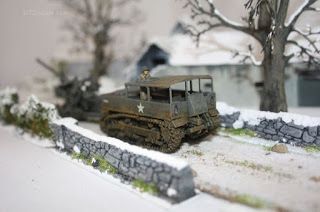 We plan to get a campaign going and we have a fair supply of suitable German stuff already built and painted, but the US forces were unfortunately sadly lacking. 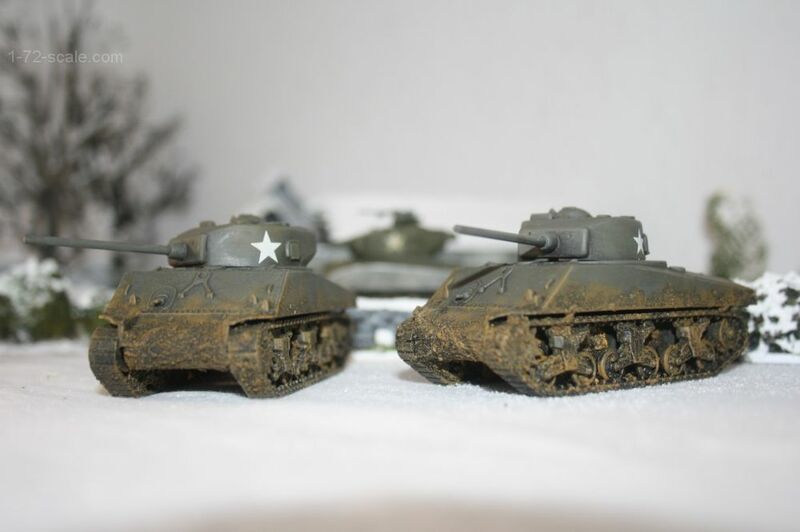 But, I do however have a large amount of WW2 US vehicles and tanks that I've accumulated over the years. 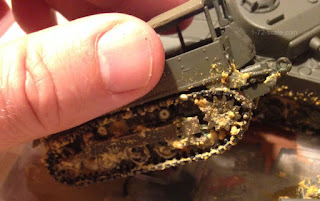 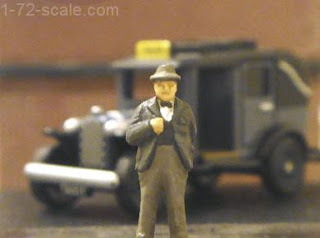 The problem is that the stash is made up of lots of unmade kits, various diecasts that need repainting, and a fair amount of old stuff & wrecks that need work to bring them up to standard. 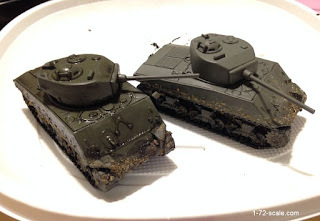 The two Shermans on the left were already built and painted, I just want to "muddy" them up a little. 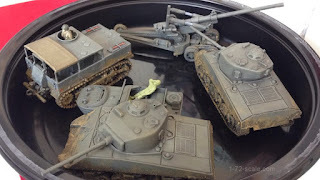 The top left-hand M4A1 76 is quite old, made many years ago and is an Esci M4A1 with a Matchbox (Revell) Sherman turret. The two partially painted Shermans on the right are Armourfast M4A3 76mm. 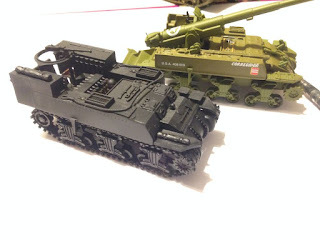 Very simple snap-together models, but nice and sturdy. I also dug out these two old veterans from the stash which are in need a bit of care and attention and will both be getting a new paintjob - a Hasegawa M5 Tractor and 155mm Long Tom. 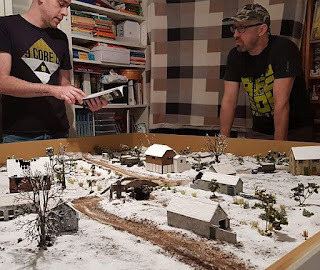 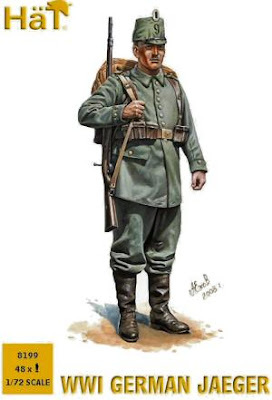 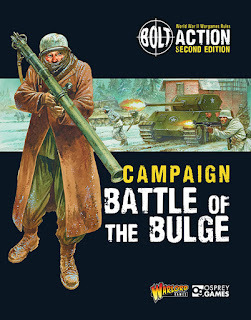 We plan to game the campaign, using the Warlord Bolt-Action ruleset, and the their Battle of the Bulge Campaign book which I recently bought. 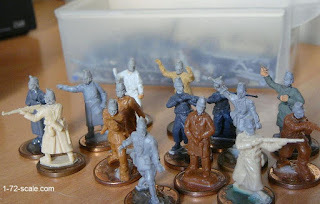 So, work in progress pictures will follow with the next updates shortly.